I just found this forum and needed some input on the photos I took last night. 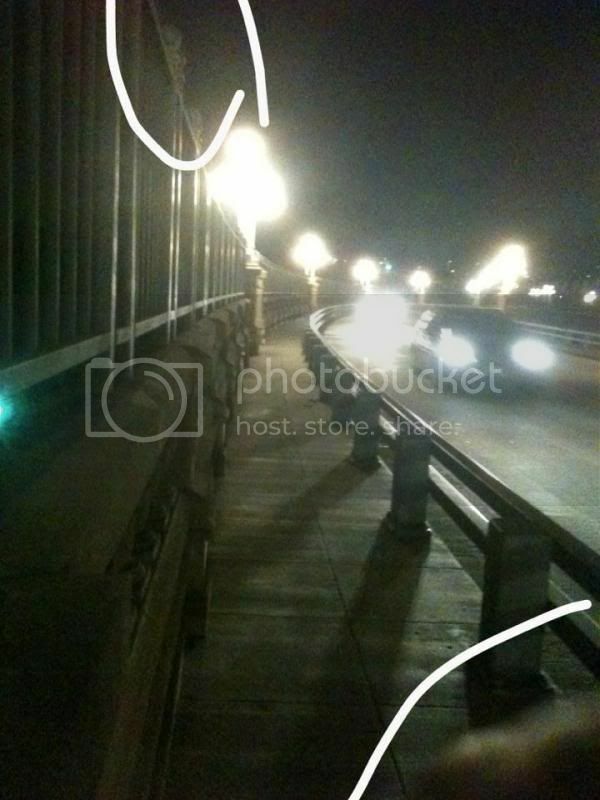 Those were taken on the Colorado Bridge in Pasadena which is also known as "Suicide Bridge". Can you explain those? For starters, how many people have committed suicide off this bridge? About what are their ages? I love the picture of the romantic heart lock, so sad. 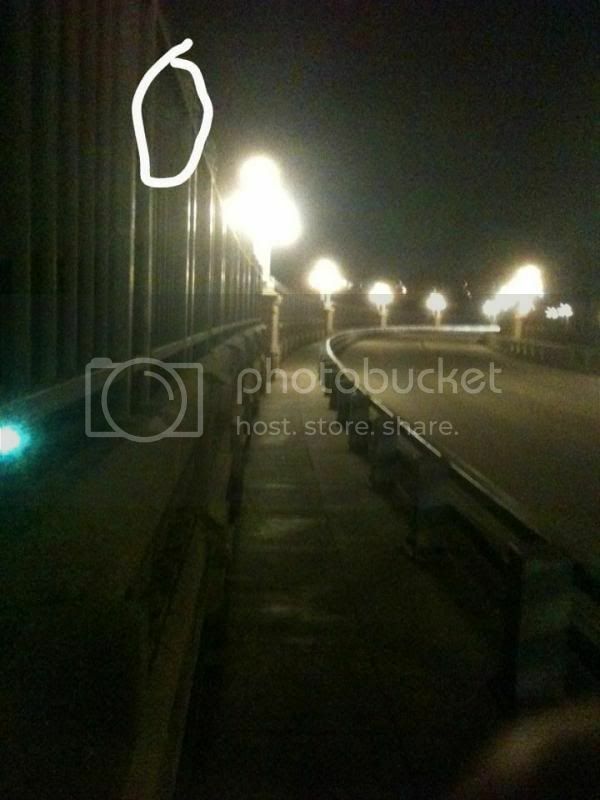 (05-19-2014, 03:07 PM)Itheblaze Wrote: For starters, how many people have committed suicide off this bridge? About what are their ages? 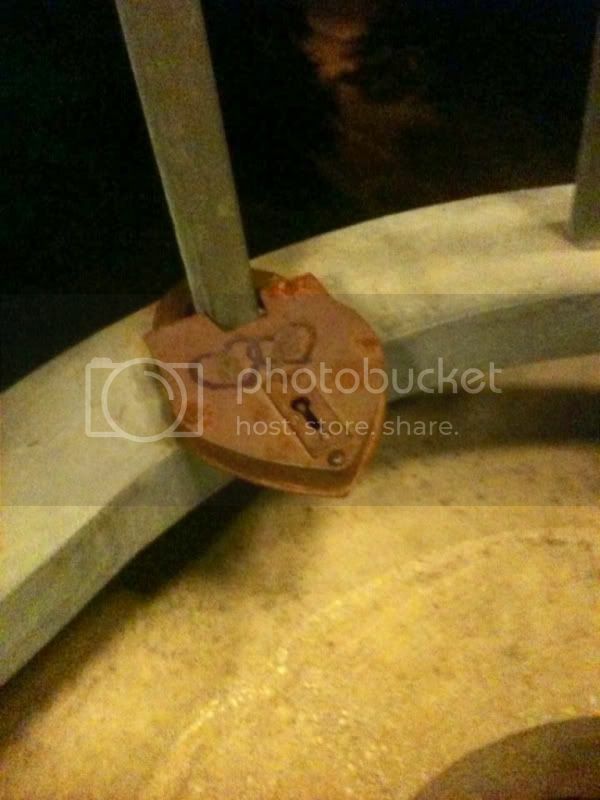 I love the picture of the romantic heart lock, so sad. I just started to look into the history of the bridge as I didn't know much about it. All I knew was that some people committed suicide there but I didn't know the extent of it. My boyfriend and I passed by yesterday and felt like stopping by to take a stroll. It was supposed to be just a nice evening walk but already at the beginning, I felt some energies and I felt quite overwhelmed. I never experienced anything to this extent. I tried to ignore it but it was impossible. From what I read today, over 150 people committed suicide there over the years. I don't know anything about their ages. The pictures weren't supposed to be anything special and I just wanted to share them with friends but I think I might have captured something there. There were certain places that had certain effects on me. One of those places had the heart lock. I was quite surprised to see that there was something else on the picture. If any place should be haunted, right!? I do see some orbs and you did feel some energies. Just think about the desperation and private hell these people were in to end their lives. The last living step was on the bridge before they jumped. The last breath taken in the dark waters below. You just know someone is still hanging around. Thanks for posting. My hubby lived in San Hosea when he was a child,but he told me a story about that bridge.He said most people don't like that bridge,they feel after crossing it,ill,depressed,marriages,relationships ending,etc.Now whether that has to do with the history or not,I don't know.I just know he did'nt like it.Just my thoughts keep the faith. I have no explanationsuch for the streams of light. All I can say is that I have take pictures simular to those with the same effects. I do feel like your pictures are of genuine energies. First pic, I see nothing. The second pic looks to be lights that aren't lit and a stray finger. Last pic, nothing.